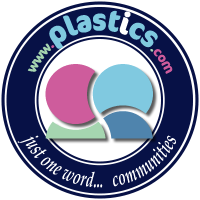 Plastics.com hosts a ‘Plastics Buyer’s Guide’ Use the links on the right or click here to go directly to the Plastics Buyer’s Guide Click here to go directly to the ‘Join & Submit’ page where you can enter YOUR company. Getting a link here greatly improves YOUR site’s traffic as Google’s algorithm gives preference to external links from high ranking and relevant sites. See Plastics Links Info for additional info and a special bonus program that gives you a premium guide entry at no charge. Don’t miss an industry auction because you didn’t know about it!